Season 2 of the BIG3 is less than 5 months away and the draft pool is starting to take shape, while 6 of the 8 newly minted co-captain slots have been filled. After yesterday’s announcement of 14-year NBA veteran Drew Gooden to the Killer 3’s only 2 co-captain spots remain. To recap, Gooden, 2X NBA All-Star Carlos Boozer (Ghost Ballers), NBA Champion Glen Davis (Power), 3X NBA Slam Dunk Champion Nate Robinson (Tri-State), NBA Champion Ron Artest (Killer 3s), and the NBA’s all time leader in steals per game, Baron Davis (3s Company), have all signed on as co-captains. Keith Bogans: 11-year NBA veteran who helped lead his team to the playoffs four times. As a Senior at Kentucky Bogans was named an All-American and led his team to a perfect 16-0 SEC record. Marquis Daniels: 10-year NBA veteran who went from undrafted to the NBA All-Rookie Second Team in 2004. 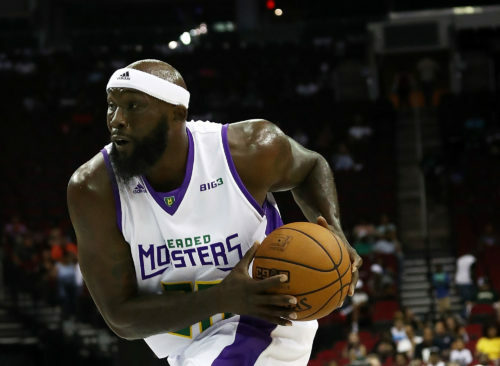 Anthony Johnson: 13-year NBA veteran who participated in the playoffs in 8 of his seasons and became the first NBDL player to appear in an NBA finals game. Jason Maxiell: The former 26th overall pick of the Detroit Pistons played 10 years in the league, leading his team to the playoffs three times. 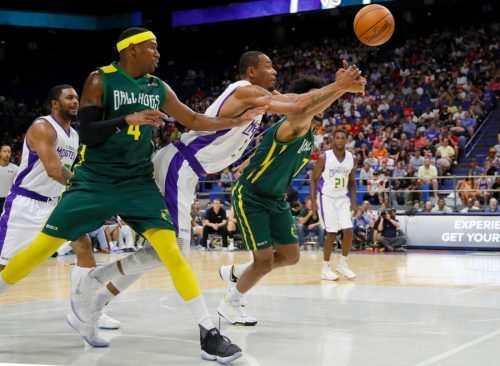 Jamario Moon: 5-year NBA veteran who went from undrafted to the NBA All-Rookie Second Team in 2008, Moon also spent time with the world famous Harlem Globetrotters. Morris Peterson: During Mo Pete’s All-American Senior year he led Michigan State to an NCAA title with fellow ‘Flint-Stones’ Mateen Cleaves and Charlie Bell. He retired as the Raptors’ all-time leader in 3 pointers made and games played. Josh Powell: Teamed up with Killer 3s co-captain Ron Artest on the 2009 NBA Champion Los Angeles Lakers. Powell also won another ring during his 7-year NBA career. Samaki Walker: 10-year NBA veteran who teamed up with Shaq and Kobe on the 2002 NBA Champion Los Angeles Lakers. Sean Williams: 5-year NBA veteran who left Boston College in 2007 as the ACC’s all time leader in block shots. Terrence Williams: The former 11th overall draft pick of the New Jersey nets, Williams is one of the few athletes to appear on 3 straight Sports Illustrated covers. Stay tuned for more player announcements, information on the draft combine and the Season 2 schedule release!